Clean your ears with extra care. Wipe the outer ear with a washcloth or tissue. Do not put anything into your ear smaller than your elbow. Do not use Q tips, bobby pins or sharp pointed objects to clean your ears. These objects may injure the ear canal or eardrum.Earwax is the ears mechanism for self cleaning. If you have a build-up of wax that is blocking your hearing, see your doctor to have it removed.If you experience itching or pain in your ears, consult with your primary care physician to determine the appropriate treatment and to determine if you need to see a specialist.If you have pierced ears, clean your earrings and earlobes regularly with rubbing alcohol. Reduce the risk of ear infections by treating upper respiratory (ears, nose, throat) infections promptly.Some illnesses and medical conditions can affect your hearing. If you experience sudden hearing loss or have constant noise in your ears or head, see an ear doctor promptly.Drainage from the ear is not normal and usually suggests infection. See your doctor as soon as possible.Some medications can affect hearing. Take medications only as directed, and consult your doctor if you experience unusual hearing, balance problems, or ringing in the ears. At home or work, wear hearing protection during exposure to loud levels of noise. This includes mowing the lawn, leaf blowing or using power tools. By law, a noisy work environment requires use of hearing protection. Hunting shops and some garden centers carry ear-protecting headgear.Ear buds, such as those that come with an IPOD or MP3 player, do not protect your hearing. lso,listening to music while using power tools is dangerous to your hearing and should be avoided.When using stereos and home theater systems, avoid high volume levels. If you think it is too loud, it probably is.When using personal sound systems, the volume should be at a comfortable level. If someone else can hear what you are listening to, the volume is too high. Remove the headphones from time to time to give your ears a rest.Wear earplugs at rock concerts, nightclubs and motor sporting events.Keep automobile sound systems at sensible volumes. This can help you avoid hearing damage and allow you to hear and yield to emergency vehicles. Always wear a helmet when you bike, ski, and roller blade or in any other activity that puts you at risk for head and ear injuries.If you scuba dive, learn and practice proper underwater techniques to avoid potentially damaging changes in pressure inside your ears.When flying in an airplane, swallow and yawn frequently when the plane is ascending and descending to equalize pressure in your ears. If you have an upper respiratory problem such as a cold or sinus infection, take a decongestant a few hours before descending, or use a decongestant spray just prior to descent and on landing.Earplugs with special filters can be purchased to help equalize air pressure in ears during air travel. Have your ears checked regularly by your primary care physician. 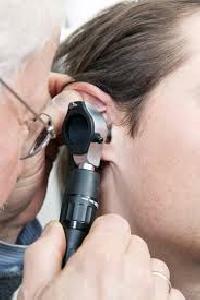 Have your hearing checked by an audiologist if you or anyone else questions whether your hearing is normal. Consult an ear physician as necessary.When outdoors in sunny weather, remember to use a sunscreen on your ears.If you notice unusual bumps or scaly areas on the exterior ear, consult your physician.Know the warning signs of hearing loss:Difficulty hearing conversations, especially in the presence of background noise Frequently asking others to repeat what they have said Misunderstanding what other people say and answering inappropriately Difficulty hearing on the telephone Requiring the television or radio volume to be louder than others in the room prefer Feeling that people are mumbling or have marbles in their mouth when they talk Difficulty hearing environmental sounds, such as birds chirping Agreeing, nodding your head, or smiling during conversations when you are not sure what has been said Withdrawing from conversations and social situations because it is too difficult to hear Reading lips so you can try to follow what people are saying Straining to hear or keep up with conversations Noise within your ears or head, called tinnitus, which is not caused by an external sound source See an ear doctor immediately if you injure your ears, experience ear pain, or notice changes in your ears or hearing. Everyone knows that loud noises can damage your ears, but there are many other ways to injure the delicate mechanisms that allow us to hear. Foreign objects or sudden blows to the ear can damage the eardrum, resulting in temporary or, in some cases, permanent hearing loss. In this section, we tell you how to avoid the common mistakes people make that damage their ears and we will tell you the best ways to cope with loud noises. We will also tell you how many decibels are too many and how loud the rustle of leaves are compared to a jet engine. Aside from making sure you dont puncture your eardrum with a foreign object, there are other steps you need to take to prevent some common ear problems. One common ear nuisance is swimmers ear. 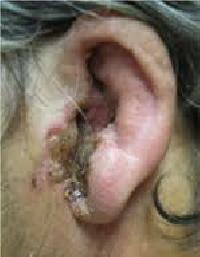 This is a condition that can result when bacteria grow inside the ear canal, and it can be quite painful. We will tell you how to prevent and treat this infection. We will also tell you the day-to-day maintenance you need to do for your ears to keep them healthy and problem free. Anyone with small children is probably well versed in middle ear infections. Ear infections are the most common illness in infants and small children. 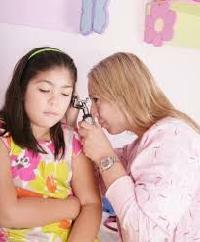 While adults do get ear infections, they are much more serious for children. This is partly because they are much more apt to get them, and partly because the symptoms can be more severe for children. In this section, we will give you some tips for preventing your child from getting middle ear infections, as well as some tips for what to do when the eventually develop one. The ear infections and damage to the ear from excessively loud noises that we mentioned in the previous sections are usually only temporary ear problems. However, some simple ear inconveniences can result serious, lasting disorders. Deafness, a lack of balance, and a constant ringing in the ears are all signs of serious problems. 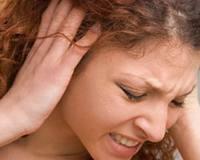 In this section, we give a guide to the various ear disorders and how to treat them. We will also tell you how you can the difference between an ear problem you can take care of yourself and one that needs a doctors attention. Because we cant see our ears inner workings as they transmit sound waves to our brain, we forget our ears can be vulnerable to injury. For instance, a slap on the ear or an injury while diving could cause a ruptured eardrum, the thin membrane that separates the outer ear from the middle ear.But one of the most common causes of ruptured eardrum and other ear damage is putting an object into the ear. All too often, people do this because they think theyre doing their ears some good such as relieving an itch or cleaning out wax. But, indeed, you can do serious harm. The old folk wisdom about not putting anything in your ear smaller than an elbow, though exaggerated, isnt such bad advice.